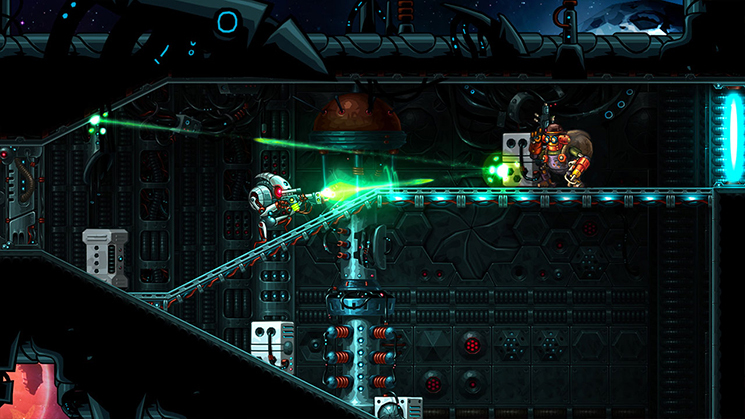 SteamWorld Heist is a game about space adventures and strategic shoot?outs. Play as Captain Piper and recruit a team of rag?tag robots to explore and scavenge the remains of a destroyed world. Board enemy spaceships and command your crew in a unique variety of turn?based combat, where the outcome is determined purely by your own skills. 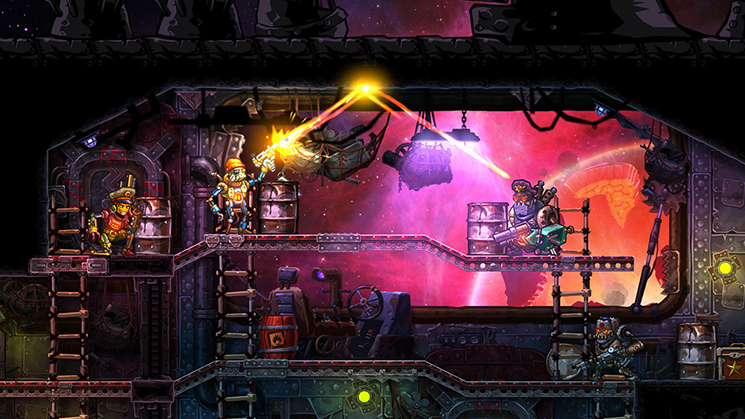 Image and Form has been on their game with the SteamWorld series for years, and this is the definitive version of their best game to date. 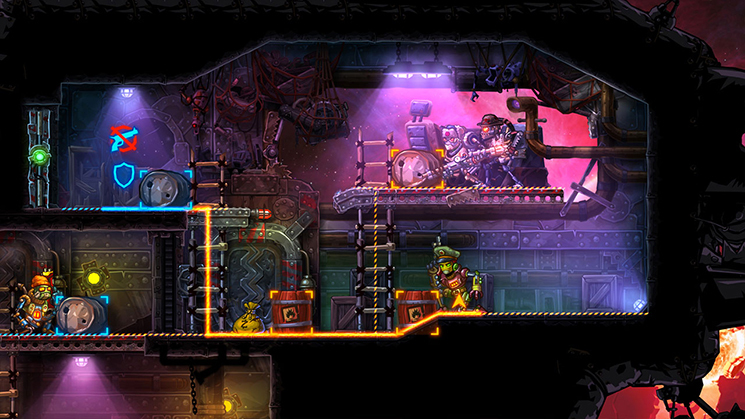 SteamWorld Heist is one of the best things any download service has to offer. 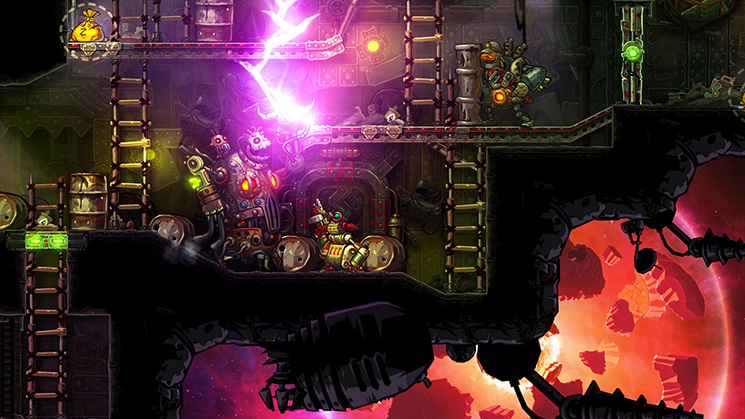 SteamWorld Heist is a decent length when factoring in the wide range of difficulty settings, and the fact you will be playing some missions a few times. Essentially, this is a well-made squad-based strategy that gives a choice: go in guns blazingâŚ. or go in gun blazing. While the game is heavy on the tactics, it's never heavy on subtlety. 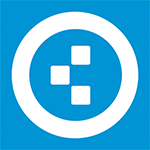 It's nice it wastes little time, but it also suffers from a lack of diversity because of it. It's thus probably better for those looking for a game to play on/off rather than binge over. 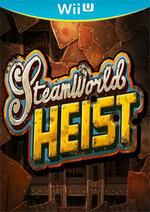 Con una notable capacidad para sorprender una y otra vez con nuevos desafíos, SteamWorld Heist es uno de esos videojuegos que merece la pena probar. Seas o no aficionado a la estrategia por turnos, es difícil que no caigas rendido a los encantos de este videojuego que luce genial en lo artístico. Se echa en falta algo más de variedad en sus misiones, pero los combates son tan divertidos y su acción tan adictiva, que el lema "un turno más y termino" le viene que ni pintado. 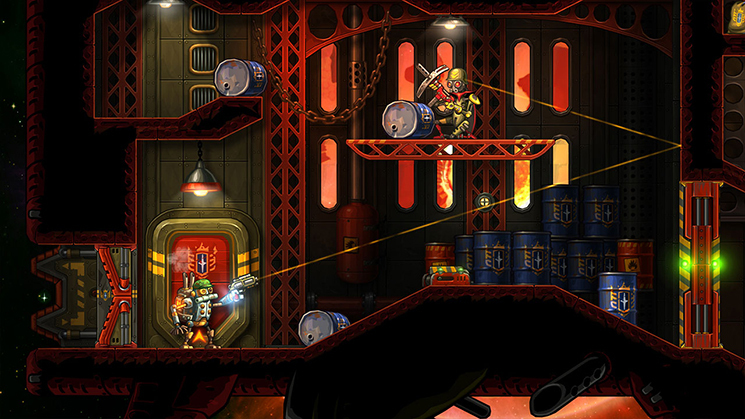 SteamWorld Heist é um jogo esplêndido para os fãs do género e a aquisição deste título quer para a 3DS, quer para a Wii U acaba por passar por uma questão de preferência, muito embora a divisão da jogabilidade esteja feita para breves sessões de jogo.